After reading this, it doesn’t look like there’s any good major candidates on the list for next time. Another great opportunity for third party voting. Dear Calbuzz – FYI: the San Diego City Council, currently 4 Ds and 4 Rs just unanimously passed a resolution supporting a pathway to citizenship, so…not convinced the Ds have a monopoly on immigration reform. Maldonado is by far the best candidate the Republicans have. He is the only one with a chance of breaking 40%. Except for him, I doubt that any Republican candidate for any statewide office will break 40%. More interesting is the question, “Will there be any Republican in a position to run for Governor in 2018?” The only person I can think of is Jeremy Lin (if he is a Republican and if he starts averaging 20 points per game). I do not profess to know Maldonado’s chances against Brown but I do believe your logic about Latino voters and Brown is deeply flawed and circa 1970. Brown does not have a lock on Latino voters. A huge segment of that vote doesn’t know any of those people you referenced. Whether Maldonado can connect with Latino voters is indeed a significant challenge but definitely not based on any of your logic. Oh, I think the logic is pretty good. The facts are there. They would be brought up — vividly and repeatedly. 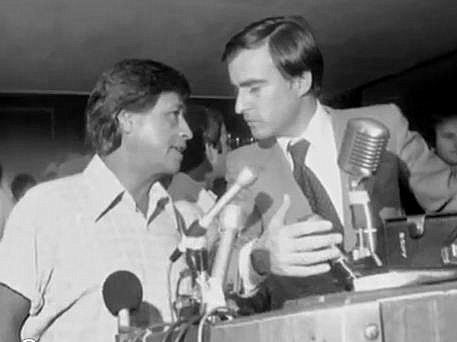 Even too-young-to-remember Latinos would be reminded of Brown’s track record. There are photographs with Cesar Chavez, you know. And don’t think for a moment that social media wouldn’t be used effectively by a Brown campaign to reinforce his image of going to bat for Latinos over decades. Party on, Democrats – enjoy your time in office. Just know it wasn’t all you. There won’t be a GOP primary. It’s an open (blanket) primary. 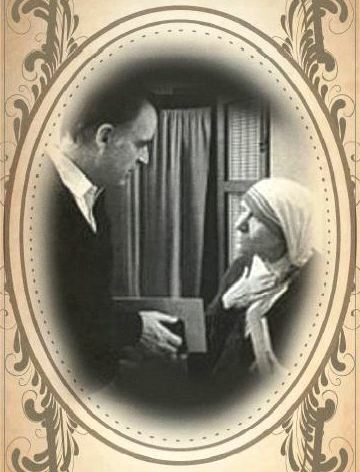 I recently posted in “Flash Report” about the governor’s race in 2014 and the “Hail Mary” that the moderate former Lt. Governor, Abel Maldonado, could pull off to win that race over Governor Jerry Brown. As you wrote, in his winnable 2012 Congressional race, former Lt. Governor Maldonado worked hard to obtain the backing of Hispanics in his district but met with only modest results. Hence, he lost the election against an “Anglo” incumbent with an appreciable number of conservatives not voting in his race. That similar but enhanced statewide 2014 pro-Hispanic effort a la the Bush Texas governor’s race, this time based on creating more and better jobs in California could bring, if done skillfully, Maldonado’s share of the Hispanic vote to 35%-40%, enough to beat Jerry Brown. There is true potential there as history shows. For instance, George Bush received about 40% of the Hispanic vote in his successful governor race in Texas. That applies provided Maldonado could control to a low roar the conservative No-On-Maldonado vote. Here is the heart of my theory. The Hispanic unemployment rate in California is around 15%, half again more than the average unemployment rate. So a jobs creation program that was so effective nationwide in retaining Republican majorities for the House Republicans in 2012 would work well in California if sold by a credible person. And Maldonado could pull that off as he is, as you wrote, a second generation Mexican American son of field workers. So, the “Hail Mary” is the additional Hispanic votes that Maldonado could obtain which an “Anglo Republican” could not. In other words Brown pics with Ceasar Chavez and Mother Theresa could get trumped by Maldonado leadership on jobs for lower income Californians. Further, unlike the Texas Republican and the New York Democrat large state governors, Jerry Brown has not featured California jobs creation programs. What a colossal failure to chase global warming and choo-choo train solutions instead of jobs for low income Californians! No wonder we have the 4th highest unemployment rate among the fifty states. It would be of significant long term benefit to reviving our California Republican Party if Maldonado won the governorship or just got into the runoff with Governor Brown. The many minority nationalities of California would be given proof that Republicans are pro opportunity and never mind the color of your skin or your ethnicity. We need a new governor whose primary objective is to put the unemployed back to work and for those working at low wages to earn better pay. And that’s done through strong state support of businesses investing in California jobs…Republican style. Not by Democrat Jerry Brown style of increasing taxes on business to create ineffective global warming credits costing business billions or Valley high speed choo-choo trains traveling from nowhere to nowhere and costing an initial $60 billion of our hard earned tax dollars. Maldonado is too smart to miss out on my “Hail Mary” theory for it is a true Republican pro-business model that kept the House of Representatives Republican in 2012. It is Maldonado’s ONLY chance to beat Brown. Abel, not Jerry, is the hope and best choice for Californians and Hispanics who want to work and economically thrive again. I live in good Mr. Maldonado’s part of the State. Here is how a Hispanic friend of mine explained his dismissal of Abel as a candidate: “He’s not a farm worker. He’s a grower.” Just goes to show that it’s not about ethnicity, it’s about class. It is why African-Americans did not go gaga for Herman Cain, or Clarence Thomas or Alan West or the newest dark-skinned hero of the Right, Ben Carson. I don’t vote for someone just because he’s white-like-me and, you know, that’s pretty much how we all are, as it turns out. I don’t know, Ernie. You make the best case for Maldonado I’ve heard so far (it’s early days) but do you really think those white old men in the Central Valley that make up such a large part of the Republican base would really vote for a Latino? Wouldn’t they just sit on their hands and hope for a future Republican Anglo candidate? You are right for that is Maldonado’s danger on the right. I tested a cure out for that with some of the leaders of the Silicon Valley Conservative Forum. Got one out five, was refused with two, and the other two stayed ambivalent. I think a Maldonado victory in the primary would move most conservatives in his corner given the runoff opponent would be Governor Brown. There is no Republican primary. It’s an open primary. Maldonado would be competing in June to get into the finals in November. If a conservative Republican gets in the race, I’m not sure where Maldo gets his votes. Maybe he’d come in second. But maybe not. Ernie is the first person I’ve ever heard call Maldonado “smart.” I’m willing to consider any compelling evidence of this. But, so far, I’ve seen none. Nada, zip, bupkis. The man appears to be as dumb as a post. Of course, that didn’t stop Dubya. So maybe Maldo should try running in Texas. The republicans are still lost as far as living in the 21st century goes. Probably too many of them will not vote for Abel for two reasons, one he once voted for a slight increase in taxes and two he is not white like the tea party conservatives who believe that only white is right. It does not really matter which reason prevails in the republican voters mind. Sad, as democracy needs two good parties.